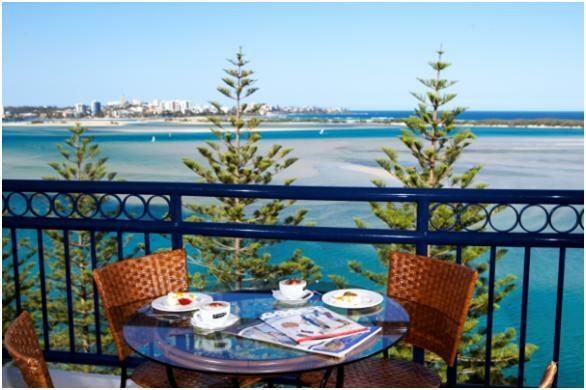 Top 4 Australian WorldMark South Pacific Club Resort – Drive to Destinations! It is the beginning of a New Year filled with possibilities and opportunities. You’re back at work and still reveling in that rejuvenated, happy holiday glow! When you realise you can’t possibly wait another 12 months to do it all again, here come the long weekends to your rescue! For all my Australian readers, the exciting news is that there are approximately 4 public holidays this year and most of these notable days fall on a Monday thereby creating the perfect opportunity for you to continue basking in that ‘holiday feeling’. Here are my top 4 drive to WorldMark South Pacific Club Resort destinations to help you make the most of your Long weekend! View from the balcony overlooking Pumicestone Passage! 1. Golden Beach – this would have to be my favourite destination! Only 1 hour from Brisbane or 2.5 hours from the Gold Coast. I love the spacious balconies that overlook the magnificent views of the Pumicestone passage, the delicious Thai restaurant on-site and the beautiful beaches that surround the area. 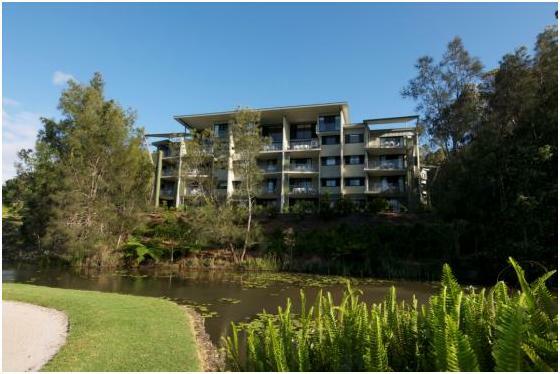 Treetops Resort is nestled among the trees on the edge of a 9 course Golf course. 2. Coffs Harbour – only 3.5 hours from Gold Coast or 6 hours from Sydney. I love the serenity of the resort, the unspoiled beaches, wildlife, marine life, coast line that stretch for miles, and the close proximity to town!! 3. Torquay – only 1 hour from Melbourne. I love the modern, chic appearance of the resort and the facilities that the resort provides including the restaurant, pool and bar which serves great cocktails and the amazing scenery surrounding the area! Stunning coastline of WA! Dunsborough is perfect for a relaxing getaway. 4. 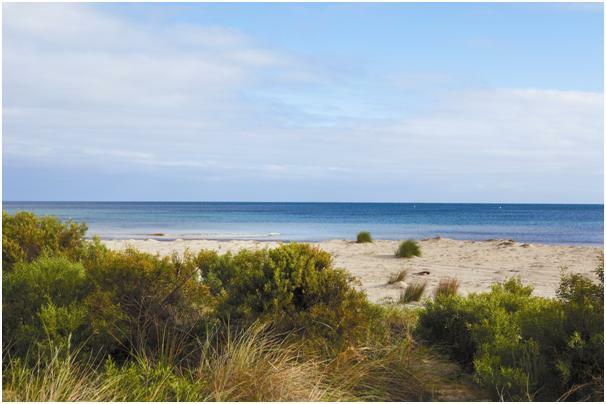 Dunsborough – only 3 hours from Perth! 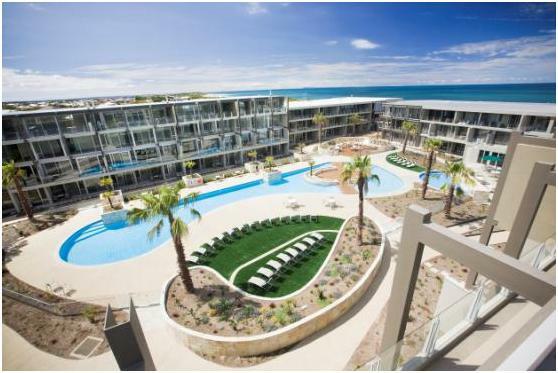 I love this resort because of its position directly on a long white sandy beach with spectacular views of the turquoise ocean and the Margaret River Wine region is only 25 minutes drive. A must do!! Less than 7 nights booking can be made in Red Season when booking within 90 days of the check-in date. NO minimum nights stay required when booking in WHITE or BLUE season.